In my younger professional days I was told that real estate should never be held in a corporation. I would repeat this over and over again in my career until someone asked me to explain why real estate should not be held in a corporation. 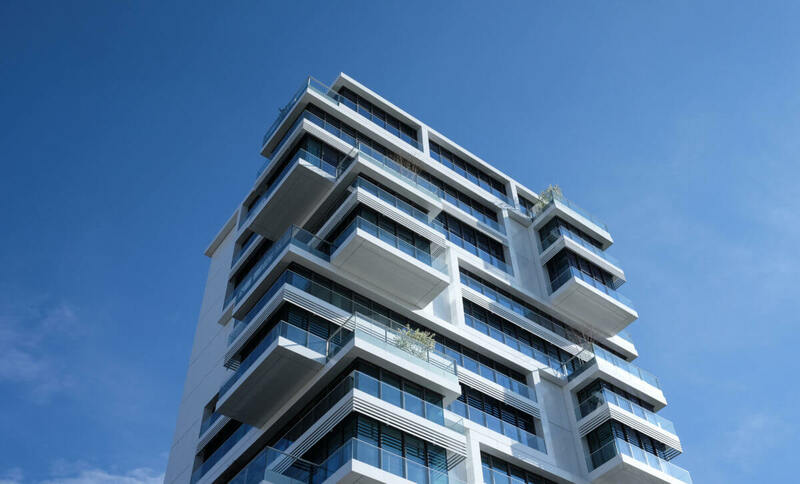 This article will answer that question: Why real estate should not be held in a corporation (not in a c-corporation or s-corporation)? Furthermore, I believe the more appropriate entity for holding real estate would be an LLC. The culprit is IRC § 311(b) which states that a corporation must recognize gain when distributing *Appreciated Property to shareholders. Real Estate is a high-priced asset that will appreciate over time. *Appreciated Property meaning with regards to IRC § 311(b) is property whose fair market value exceeds its adjusted basis (in the hands of the distributing corporation). Assumptions: Any calculation of tax liability is using the highest possible tax rate. Scenario: A Corporation decides not to develop a piece of land and instead distributes it back to the sole shareholder. This land was held for years by the corporation and has appreciated in value. The land now has a FMV of $250,000 and an adjusted basis of $20,000 in the hands of the corporation. If the Corporation distributes this land to the shareholder it will have to recognize the gain as if the property was sold at FMV. This distribution would create $230,000 of taxable gain at the entity level and cost upwards of $80,500 ($230,000 X 35%) in federal corporate income tax. Additionally the distribution of land may be considered a taxable dividend to the shareholder to the extent that the corporation has E&P. This distribution could cost upwards of $59,500 (($250,000 X (20% Qualified Dividend + 3.8% Medicare Surcharge)) in federal income tax at the shareholder level. Note: Corporations do not have a lower tax rate for capital gain income. Note: No Loss is allowed when distributed property with a higher adjusted basis than FMV. However, a loss may be allowed if this distribution is in complete liquidation of the corporation. Scenario: Applying the same facts as above except the corporation is taxed as a Subchapter S Corporation. Unfortunately, IRC § 311(b) also applies to S-Corps (see IRC § 1371(a)) for this reason S-Corps must also recognize gain on distribution of appreciated property. The S-Corporation would recognize $230,000 gain on the distribution. However, an S-Corp is a flow-thru entity which means there is no tax at the entity level but the gain will flow-thru and be reported on the shareholders individual tax return. Here the sole shareholder will receive Form K-1 reporting the s-corp activity for the year. This K-1 will include $230,000 in long term capital gain and $250,000 in distributions to shareholder. Assuming the shareholder has basis in his S-Corp stock this distribution will cost upwards of $54,740 (($230,000 X (20% LTG + 3.8% Medicare Surcharge)) in federal income tax. Note: Distributions from an S-Corp to shareholders are only taxable to the extent distributions exceed shareholders basis in the S-Corp. Distributions in excess of basis would be taxable as capital gains. Note: If this land was instead a building there may be depreciation recapture & Section 1239 issues. There are numerous reasons why an LLC is the more appropriate entity for holding real estate. A single member LLC (“SMLLC”) is a disregarded entity for income tax purposes which means you get the liability protection of an LLC without having to file an additional entity tax return. Multiple member LLCs will be taxed as a partnership by default but may elect to be taxed as a corporation (I would not recommend doing this if holding real estate). 1) Appreciated Property: Unlike corporations distribution of appreciated property is generally not a taxable event if the entity is an LLC. I do want to mention distributions of property from an LLC to a member may be reclassified as a sale under the disguised sale rules (outside the scope of this article). 2) Increase of Basis: In general distributions from an S-Corp and Partnership are tax free to the extent of taxpayer basis in the entity. Distribution in excess of basis is treated as a capital gain. The members of an LLC may get additional basis for debt at the entity level. Therefore if an LLC holds real estate encumbered by a mortgage the members of the entity may get additional basis in the entity. This increase in basis is unique to partnership tax as there is no similar increase in basis for shareholders of a corporation. 3) Book Up / 754 Election: Another mechanism that is unique to partnership tax is the booking up (or down) of assets and the Section 754 election. When a partnership or LLC interest is sold or transferred an existing member leaves and is replaced with a new member. If the entity makes a 754 Election the assets of the LLC can be adjusted up with regards to the new member. To illustrate: An LLC owned by two 50/50 partners that holds one building with a FMV of $1,000,000 and an inside adjusted basis of $100,000 in the hands of the LLC. If one of the partners is able to sells his/her interest in the LLC for $500,000 (FMV of 50% of Building) than the LLC can increase the basis in the building on its books by $450,000 (743(b) adjustment) adjusting the basis to $550,000. This adjustment will only affect the new member and is meant to bring the basis of the building allocated to the new member up to $500,000 to equal the new member’s $500,000 investment in his interest in the LLC. To illustrate further: Under the same fact pattern above and assuming the basis of the building remained $550,000 in the hands of the LLC. If in a subsequent year the LLC sold the building for $1,200,000 there would be a taxable gain of $650,000 of which $550,000 would be allocated to the old member and $100,000 of taxable gain would be allocated to the new member. This makes sense because the old member only had $50,000 of basis in the building and the new member had $500,000 of basis in the building. It is important that the reader not mistake allocation of taxable gain with cash distributions in this illustration if the proceeds were distributed they would be distributed 50/50 ($600,000 to each member).